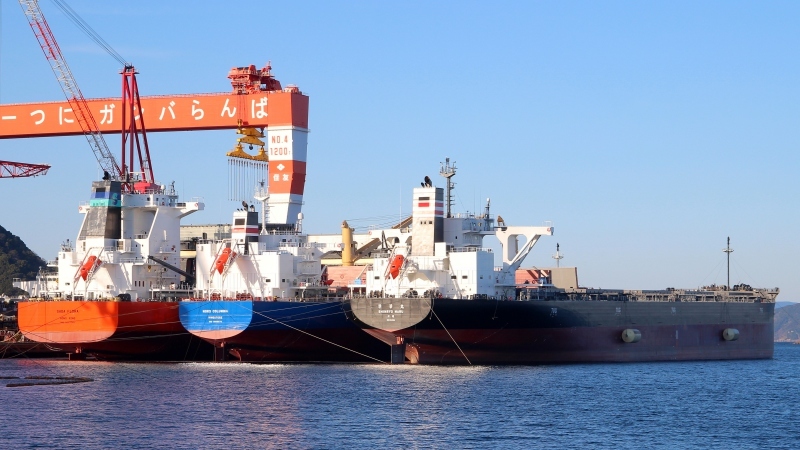 New vessels about to be delivered by Oshima shipyard near Sasebo: "Saga Flora" (IMO No. 9502348), "Nord Columbia" (IMO No. 9805673) and "Shinryo Maru" (IMO No. 9799812).